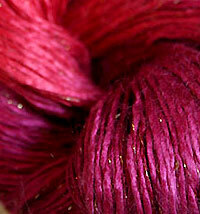 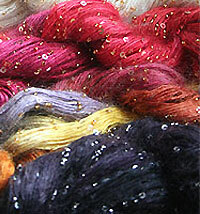 This stunning colorway in Artyarns beaded silk mohair yarn is almost unphotographable. 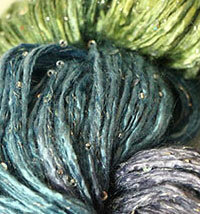 This color is alive in your hands, with the tones of green in light and dark merging - like the finest jacquard fabric - turn it one way and you see Silver hightlights, the other, acid green, and yet more teal from different angle. 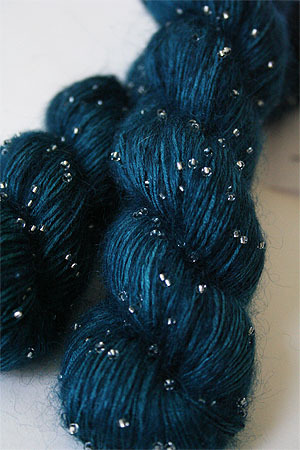 I cannot wait to knit this up!